What began as a royal wedding reception over one hundred years ago has turned into Germany’s biggest yearly party, with six million revelers crowding the streets of Bavaria. Oktoberfest was born in Germany, but the fun has spread around the world. Read More! Imagine using your computer to listen to the radio? And it is FREE! 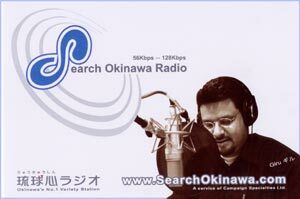 It may seem like a strange thing to do, but by putting the programming online, Search Okinawa Radio is able to now reach the global audience in Peru, Brazil, USA, Canada, Australia, New Zealand, France, Hawaii, Europe, China, Taiwan, Philippines and even Japan, Nationwide! Let's say you just moved to New York from Okinawa and long for some Okinawa related music and information. 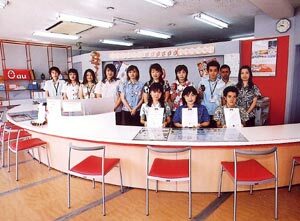 Listen to a variety of Okinawa related music from SOR (Search Okinawa Radio) at www. Read More! The AU Shop Sunabe has been promoting various special offers to military service members over the past seven years and, as a result, has developed a warm relationship with these valued customers. In an effort to better serve its clientele, the AU Shop is now offering ISO9001 cellular phones providing higher quality and better service than ever before. Read More! The Camp Foster Student Transportation Office (STO) finds numerous personal articles left by students on our school buses daily. The STO recycles the articles back onto the buses within 24-48 hours in an attempt to locate the owner. Read More!